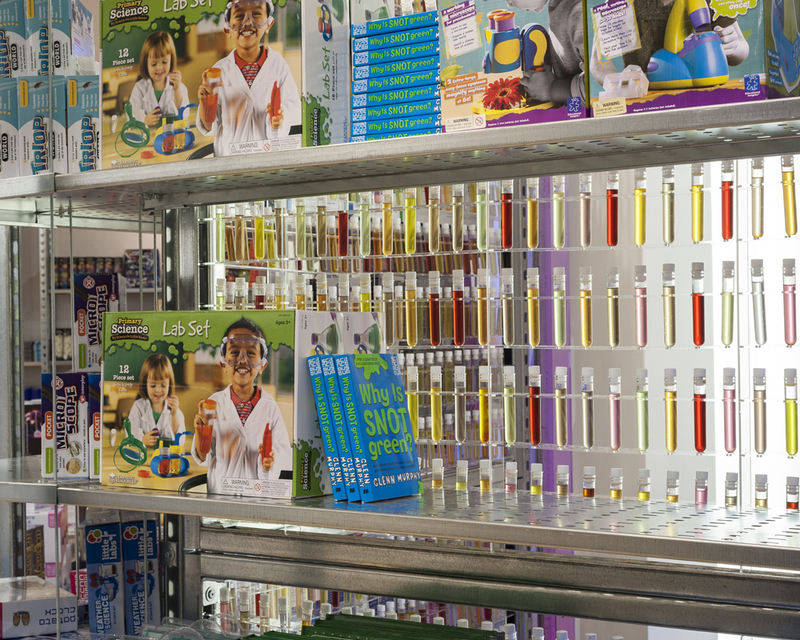 The Science Museum is launching a Christmas pop-up store which uses test-tubes filled with coloured water as its key design point. 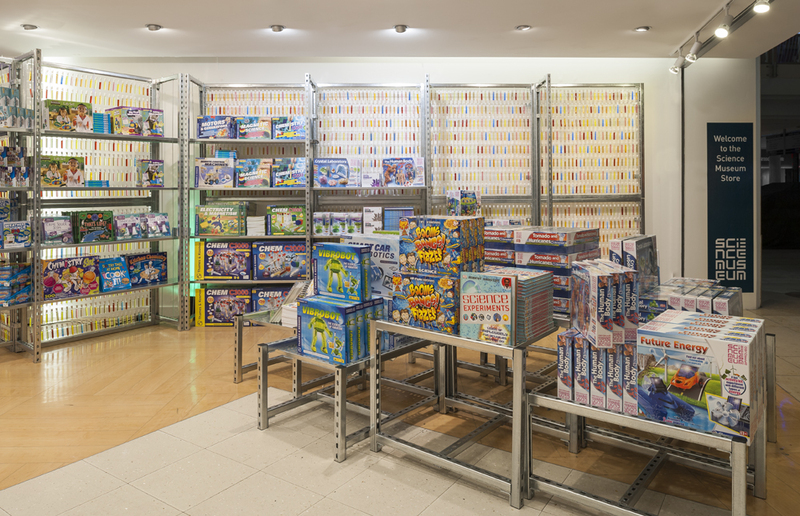 The store has been designed by BAT Studio and is at Bluewater in Kent until 31 December. 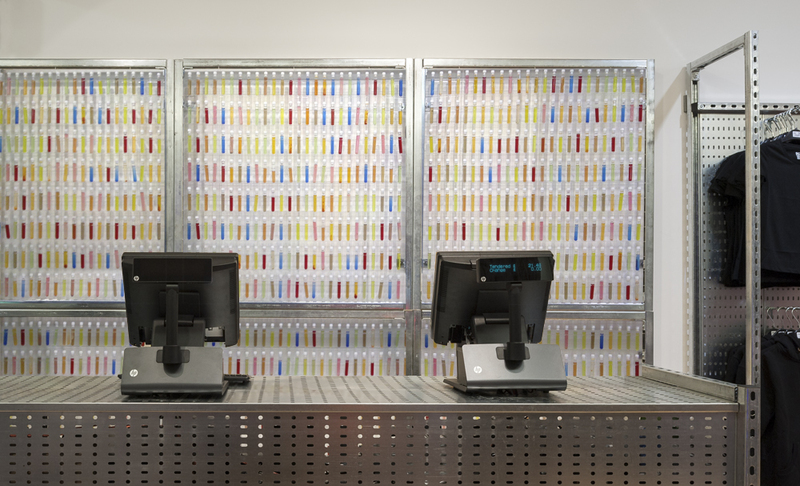 BAT Studio co-founder Jonty Craig says that for the interior design concept, it wanted to use “colour and repetition to create surfaces with texture and depth that references sweetshops and pharmacies”. 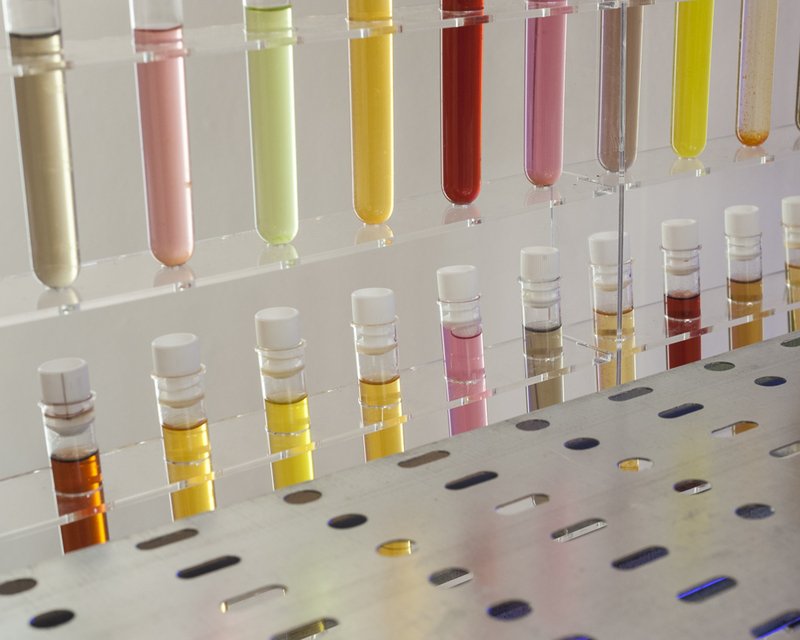 The consultancy filled 4000 test-tubes with coloured water and used them to create screens and line walls in the space. 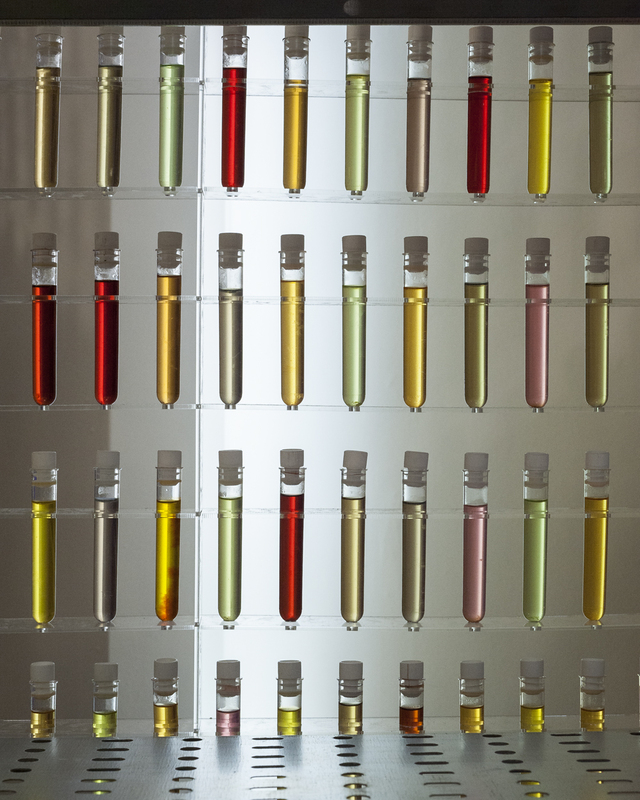 Alongside the test-tubes, Craig says the consultancy wanted to use “materials which could be considered as ubiquitous components in the science of modern buildings but which are rarely elevated to be used for this aesthetics”. Shelves in the store are formed from cable tray, which is suspended from galvanised channel by threaded bar. Cable tray is also used to provide peg boards, and forms tables and the till counter.